Previously we mentioned about Marvell’s Tiny Plug Computer that is based on Linux Operating System, now seems that the famous ARM licensee has upgraded its hardware specification recently. Instead of using its previous 1.2GHz Kirkwood SoC, the new upgrade has refreshed the portable PC to a relatively newer and much more powerful Armada 300 SoC chip that able to boost up system performance with other enhancements. While the unit is still based on similar Marvell’s Sheeva core, its core frequency has been increased to 2GHz (previously was 1.2GHz), which is almost twice faster, making it possible to handle much intensive applications. Besides, it is supported by 512MB memory RAM as similar to its predecessor but has been integrated with additional 512MB internal flash memory for storage usage. 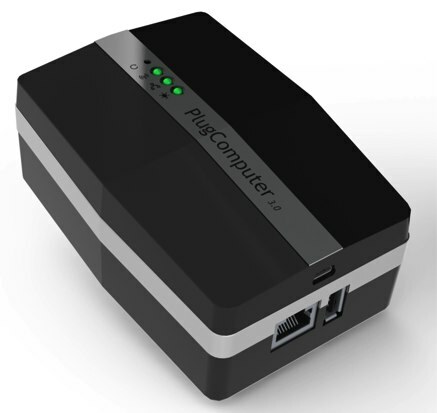 Other features include USB 2.0 port, Gigabit Ethernet port, SD memory card slots and many more. Some new enhancements that worth to be highlighted here include the Bluetooth and WiFi wireless technologies that has able to extend its usage models beyond a basic low power home PC server to new segments such as home automation, medical, security, industrial and etc. As of today, SheevaPlugs has been sold more than 10,000 units since its official launching back to March 2009. No pricing and availability yet, the new refresh model is expected to continue its momentum to push more units into consumer market but do expect a price rise due to additional features as well as more powerful core processor.